The beginning of a new year is a time ripe for predictions. For media and publishers, 2019 has the ability to be just as (if not more so) bumpy and action-packed as 2018. Here’s where Melissa Chowning of Twenty-First Digital thinks the biggest moves will be this year. Read more. New York magazine has announced the adoption of a paywall. The move will see New Yorkmagazine’s other verticals the Cut, Intelligencer and Vulture all go behind the paywall. Read more. Target Marketing conducted research on how marketers are allocating their budgets in 2019, in particular spending on social media marketing, content marketing, and Google Ads. Do You Want to Create a Paywall? Melissa Chowning, audience development expert and CEO of Twenty-First Digital operating in Dallas, Texas, has made her mark as an audience development leader for prominent brands, including Portland Monthly, Seattle Met, D Magazine, and D Custom. City and regional magazine publishers continue to be nimble and optimistic in an atmosphere that remains anxious about the future of print advertising. A survey conducted by Folio: last year illustrated these publishers’ skillful approach to revenue diversification: nearly two-thirds of respondents expressed concern over vulnerability to declining print advertising, yet 92 percent were confident about business growth. Read more. Very often, Business Intelligence (BI) projects are focused on explaining and showing the current status of the company or department: how many unique visitors the site had yesterday or how many ads sold in the past week. But data in nice graphs doesn’t necessarily answer the key needs a user may have. When building an internal BI solution, it is important to clearly identify which business units can benefit and what specific decision points need to be improved. Read more. In case you haven’t noticed, we’ve entered an era of on-demand media consumption. And due to its mobility and being a natural accompaniment for multitasking, audio has emerged as a favorite among the on-demand public. Podcasting, in particular, has enjoyed a boom in recent years, with one in four Americans now listening to podcasts. Learn how San Diego Magazine is gaining traction in podcasting. Read more. Freeport Press did a bit of research to better understand today’s readers and what they like. They found when it comes to our magazines, we read more, read longer and subscribe more often to print than digital. For magazines it appears the value of print stands strong. Read more. For many publishers, membership programs are the new subscription. The Membership Puzzle’s Emily Goligoski discusses the organization’s recent work on studying the keys to building sustainable membership programs. Read more. Terry McDonell, writer, editor and media executive. The Evolution, Mutation and Rebirth of City and Regional Magazines. CRMA Keynote: The Evolution, Mutation and Rebirth of City and Regional Magazines. CRMA Keynote: Magazine Media: Better. Believe it. Please view or download the keynote from the New Orleans meeting. Magazine Media: Better. Believe it. Columbus Monthly, Seattle Met and 5280 (Denver) won the coveted general excellence awards in their circulation categories in the 33nd Annual National City and Regional Magazine Awards competition announced June 4 at CRMA’s annual conference in New Orleans, Louisiana. View the video from the 33rd Annual National City and Regional Magazine Awards competition. The ad-buying pendulum is swinging slowly but surely back to contextual targeting, thanks to the arrival of the General Data Protection Regulation. With so much market uncertainty surrounding the impact of GDPR, many ad buyers are reluctant to take risks with data-heavy audience targeting techniques. Read the original article. Media companies have figured out that in order to sustain a healthy business model, it’s all about distributing their unique, niched-out content through various channels, including print, digital, webinars, videos, podcasts, social media and more. Traditional Print vs Digital Content: Can One Editorial Team do Both? We know that the reader experience greatly differs between print and digital. And like it or not, there can be big differences in writing for print and digital as well. British statesman John Morley hypothesized “Literature is the most seductive, the most deceiving, the most dangerous of professions”. For magazine publishers, there is an analogy with our love-hate relationship with newsstand channels. Troy-based Hour Detroit brought home 14 honors from the annual Society of Professional Journalists – Detroit Chapter (SPJ) 2018 Excellence in Journalism Awards celebration. More categories and focus on SEO results in a 125 percent audience growth. Magazine professionals from around the country chose 175 finalists representing 34 publications in the 33-year-old City and Regional Magazine Association’s national awards competition. Magazines of varying circulations competed in 35 categories, including editorial, design, online, multiplatform storytelling and general excellence. Judges named five finalists in each category and will soon choose one ultimate winner in each. It has been reported that the average email user spends an average of 51 seconds reading each email newsletter. If this average sounds familiar, you should develop a way to maximize your email’s ability to connect with your audience. The 2017/2018 MPA Magazine Media Factbook features noteworthy research, useful statistics and compelling facts that articulate how magazine media is unique and its effectiveness compared to other media. Facebook just reduced the organic reach of your page to 0%. The good news, however, is that there is a way for publishers to still use Facebook to grow their business. We are wrapping up the year by wrapping up the eighth issue of Digiday magazine, which is part of our premium membership program Digiday+. In this issue, we take a look at the big ideas that we believe will shape media and marketing in the year ahead. According to the latest data from market research firm GfK MRI, AARP The Magazine has overtaken People—a weekly—as America’s most-read print magazine based on the average number of readers per issue. At an estimated 38.3 million readers per issue, the bimonthly edged out People, Better Homes and Gardens, and Nat Geo. Formerly Melissa Chowning Media, newly named Twenty-First Digital, has hired Ashley Mulder, an audience development director with over 10 years experience in city and regional publishing. Hour Media Group announces the acquisition of Pasadena Magazine, the bi-monthly city magazine of record for the diverse, historically rich and culturally vibrant region that includes Pasadena, San Marino, Arcadia and the San Gabriel Valley. The media industry saw an upswing in mergers and acquisitions activity in the first half of 2017, particularly among consumer-facing publishers, according to the latest figures from investment bank Jordan, Edmiston Group (JEGI). Audience development has become core to how publishers scale and make money. But now the question facing publishers is how to ensure it serves all sides of the business, whose interests often conflict. Change is happening all around us, and one of the biggest drivers of change in the digital world is artificial intelligence (AI). We can’t listen to a tech CEO keynote without stumbling on how they are using AI for a variety of products or innovations. Smart publishers are also beginning to embrace AI. They are weaving it into the core of their business — to inform and improve content, advertising and product. 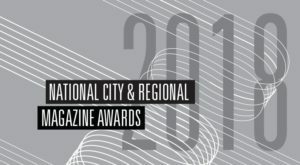 Sarasota Magazine, Portland Monthly and Texas Monthly won the coveted general excellence awards in their circulation categories in the 32nd Annual National City and Regional Magazine Awards competition announced May 22 at CRMA’s annual conference in Houston, Texas. Good journalism is simply not enough to sustain magazine revenue these days, according to two business-side veterans who spoke at a panel at Columbia Journalism School on Monday [3/26/17]. Online magazine audiences continue to abandon their desktops and laptops and instead opt for their mobile devices, according to the latest Magazine Media 360° Brand Audience Report for February 2017 from The Association of Magazine Media. Magazine professionals from around the country chose 170 finalists representing 33 publications in the 32-year-old City and Regional Magazine Association’s national awards competition. Magazines of varying circulations competed in 34 categories, including editorial, design, online, multiplatform storytelling and general excellence. Against a backdrop of rebounding consumer and business confidence, mergers and acquisitions continued to be quite active in 2016 across the media, information, marketing, software and tech-enabled services sectors, with 2,157 announced transactions accounting for $218.9 billion of deal value, 44% higher than 2015’s $152.3 billion, according to JEGI, the leading independent investment bank serving these core markets. Emmis has now divested all its publishing assets except for its hometown Indianapolis Monthly, which it intends to continue to operate. Hour Media Group, LLC announces the acquisition of Palm Beach Media Group. With its recent acquisition, Hour Media Group now publishes 70 magazines and custom titles across the country. Published throughout Florida, Palm Beach Media Group produces 11 magazines and three websites in the ultraluxury market including its two flagship publications Palm Beach Illustrated and Naples Illustrated. The company maintains offices in West Palm Beach and Naples. It’s no secret that publishers and brands have discovered the power of content marketing en masse. While the quantity of content is continually increasing, the quality of branded content partnerships also rose to new levels as publishers and brands experimented with emerging mediums and used real data to measure success. Time Inc. Retail president Drew Wintemberg on embracing new realities on one of the industry’s longest-standing distribution channels. Customer Collaboration, Involvement In Complex, Luxury Markets. Is It Possible? Personal transportation is a lifestyle-intensive market segment in the same way that clothing, cosmetics or electronics are. They help people define who they are and show that to the world around them. What we can learn from these leading companies can be extrapolated to other luxury goods industries to help enlighten the path towards customer-driven innovation. Wednesday [November 30] is a banner day for digital media startups, as the founders of both Politico and The Huffington Post unveiled projects that have been under wraps for months. It is my pleasure to speak every few years to the City and Regional Magazine Association (CRMA). They are a feisty group of owner/operators leaping beyond traditional publishing platforms and creating as many new revenue streams as there are pages in a cross-country Fodor’s travel book. Let’s call the CRMA cottage entrepreneurism as opposed to tower entrepreneurism. Each is a powerful edifice. An article by Phobe Verkouw, Sacramento Media. As of October 10, 2016, Sacramento Media, publishers of Sacramento Magazine, Sacramento Home, Sacramento Magazine’s Our Wedding, Serrano Magazine,Sacramento Visitors’ Guide and Sacramento’s New Era, announces the acquisition of Sierra Heritage Magazine. In his 11/4/16 newsletter, BoSacks sings the praises of the CRMA publishers: “Yesterday I wrote about the developing style of corporate risk taking place at Hearst, let’s call it tower entrepreneurism, envisioned and shared by Dave Carey. Today I want to suggest another great and often missed sector/movement in successful publishing. Excerpted from Folio: “When any regional publisher gets asked about competition, it is assumed, “Well, you have none right”? Usually this is because only one subscription-based regional lifestyle publication can exist in most markets. I guess the politically correct response I have repeated ad nauseum is something about how in this age of media convergence, everyone is competition.” Read the full column by CRMA’s John Palumbo. By Benjamin Mullin for Poynter.org Wednesday is a banner day for digital media startups, as the founders of both Politico and The Huffington Post unveiled projects that have been under wraps for months. For Ariana Huffington, the founder of The Huffington Post, it’s launch day for Thrive Global, her much-anticipated wellness company. And Jim VandeHei, the former boss of Politico, picked today to sketch out the general concept for a venture called Axios, a news startup that has attracted former Playbook scribe Mike Allen and a roster of journalists from The New York Times, Fortune and Bloomberg. Read the full article.